How Much do Procurement Managers and Execs Make? Dell in its glory days was famously associated with the concept of "negative working capital." What does that mean? I am not long back from spending three days at the JDA Software Focus user conference at the MGM Grand hotel and conference center in Las Vegas - and there is a lot to report and comment on. Of course JDA was already major supply chain player after acquiring Manugistics in 2006 and then later i2, before really up ending the market through a merger with Red Prairie in late 2012. That came under the ownership of New Mountain Capital, a private equity firm, in a deal took the company back private, kept the JDA name and its CEO Hamish Brewer. 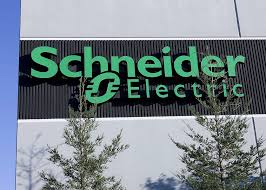 The result is a nearly $1 billion company that simply enjoys a premier position in the supply chain, with now 82 of the top 100 retailers and 87 of the top 100 consumer goods companies as customers (I am not sure if those stats refer to top global or US leaders by sector). But looking at the names on the badges, it was certainly a "who's who" list of company attendees: Walmart, Procter & Gamble, McDonald's, Lowes, etc. "It is no surprise that the first suite to be rolled out is the distribution-centric supply chain, because that is the one that really brings together JDA planning and the former RedPrairie solutions (WMS, labor management)." There were some digestion troubles with RedPrairie in 2013, which Brewer said were behind them. The proof of that will be in the success of JDA in the WMS market - RedPairie's mainstay product area - in 2014. Brewer said there is now a new JDA - shorthanded as "JDA 2.0," but that apparently is a placeholder term awaiting further refinement. There certainly are some changes. The company went through a major strategic exercise in late 2013, the fruits of which were in part presented to attendees, as I will detail in just a bit. There has been quite a change in the top executive ranks, with new execs for product management, the chief technology officer, marketing, and services, if not others. David Johnston and Wayne Usie remain, however, providing leadership for the manufacturing and retail markets, respectively, and I think they both do a very good job in those roles. 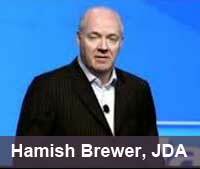 As a result of the strategy work - which included a "Voice of the Customer" program - Brewer said customers viewed JDA as not working as closely with them as they wanted, and was viewed as too "transactional." So there has been a major internal reorganization, which in part involves a new or enhanced role of "customer executive" which will be responsible for developing and maintaining more strategic relationships with customers, and be measured in part of the success the customer has with JDA solutions. The theme of the conference was "Outperform" -at least on the signage - and I think JDA could have actually leveraged that idea a little better at the event. Like never before, that's really what you have to do today on a global basis, right? But from my view, the practical theme was something more like "the journey to end-to-end." Last year, JDA introduced the notion of product "suites," or a collection of products knitted together in a major way to automate and improve what you might call a "super process." In 2013, the idea was floated out there, without a lot of detail. There was a lot more clarity in 2014, and some changes to the line-up from last time, resulting in five of these major suites. These suites are: distribution-centric supply chains, manufacturing planning, collaborative category management, retail planning, and store operations. In the "suite life of JDA" (my kids used to watch lots of the Disney channel), this is how the company will go to market. So this is what I meant by the end-to-end theme. While JDA has always naturally enough provided a variety of solutions to address a company's supply chain needs, it often had customers that bought one of two products to solve certain pain points - acquiring for example the demand and fulfillment modules, a common product combination. These suites will try to offer a different paradigm. They are in a real sense prescriptive - this is how you take a super process to the next level, and in many of the cases will involve both planning and execution components. I think this is in fact where much of the market is headed. One large regional grocery chain, for example, is implementing store-level inventory planning, and will be using a wide variety of software modules from JDA to get it done. This retailer is connecting all the dots in a way that I think few have to date - but more surely will be thinking this way in the future. 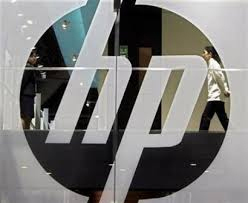 The internal reorg is also connected to these suites, with a matrix-style organization that will bring product management, services, marketing, etc. together under each of the five suites as cross-functional solution delivery and support teams. It is no surprise that the first suite to be rolled out is the distribution-centric supply chain, because that is the one that really brings together JDA planning and the former RedPrairie solutions (WMS, labor management), and will be an interesting proof point for the approach. It will also take a lot of skill to pull off. WMS companies are often challenged to effectively push a broader vision/sell to what you might call extended supply chain execution (visibility, supplier connectivity, even sometime just getting TMS as part of the conversation). Now, JDA will replace that with an even broader vision that now also includes planning components. It will be interesting to see how this plays out, and it will take high levels of skill. JDA will in part need to get its consulting partner ecosystem aligned with this conceptm and that will take time. Also related to end to end, Focus was sort of the official kick off of JDA's Flowcasting product. Flowcasting was developed by Andre Martin, inventor decades ago of the original distribution requirements planning (DRP) concept. Awhile back, he and partner Darryl Landvater took the basic DRP thinking and moved it down to store level instead of ending at a retailer's DC, with some especially smart logic around slow movers. Several years ago, RedPrairie started a joint venture with Andre and Darryl on Flowcasting. JDA then inherited RedPrairie's stake when the merger occurred. It took awhile, but a deal was finally done and JDA now owns all of Flowcasting, with Martin and Landvater still around to help drive it into the market. Greatly simplifying, JDA is basically taking the concepts and some of the specialized technology approach for things like slow movers and high levels of scalability and adding them to the existing JDA store-level solution. It will take a few months to get there. This has the potential to be a real breakthrough product - Flowcasting just never got the support required under the RedPrairie structure, though customers such as Kraft and Sony Canada were having great success with it there nevertheless. Flowcasting is really designed in the end to connect the shelf back to the supply chain and even the manufacturing line - the end-to-end, integrated supply chain we have talked about for years but never really achieved. Maybe this is heresy at planning-oriented JDA, but there is almost an execution like aspect to Flowcasting - you just do the math. As Martin says, "don't forecast what you can calculate." I am out of room as usual, and will do a part 2 on some of the sessions I attended next week. Word on the street in that New Mountain has set some pretty high expectation for JDA's financial performance. JDA is betting part of the the ranch, in a sense, on this new more customer and suite focused internal structure, a go-to-market strategy around "super processes" (the suites), and oh by the way an even stronger commitment to Cloud delivery (Cloud is who we are, Brewer said). It also needs to demonstrate there is a 1+1= 3 in the combination of JDA and RedPrairie. When you reach the size that JDA has, the stakes are large. This will be an interesting and critical year for JDA. We received a few good letters from our First Thoughts piece Big, Big Supply Chain Data a couple of weeks ago. That includes our Feedback of the Week from David Schneider, who says in part that the key is asking the right questions. You'll find that good feedback and others below. Happy to see you are trying to wrap your mental arms around this muddled mess of Big Data. Every year we have more data - but how much of it is useful, and how much of it become information, become the real question. Data becomes information the moment it answers the question asked. Until then, it is just data, nothing more. Better analytics may help us sift through the data faster, but the best of the analytics packages are constrained by something that technology will never improve; the ability to ask the right question. Data is the fuel that drives execution improvement. Information is the fuel that drives tactical improvement. Questions are the inspiration that drives Strategic improvement. We need data to measure and improve execution performance. We need Information to decide on the tactical options available, and to develop new versions of tactics to deploy. These are all good, but create marginal improvements. Until we start asking better questions, as in the questions focusing on The Goal of the Supply Chain, we won't improve our strategic strength of our supply chains. Congratulations on your first part on "big, big supply chain data." I would like to share one example of big data which I consider very helpful to avoid human casualties these days as to prevent catastrophic floods in particular risk regions. In summary, programmed software analyze periodic data of mapped flood risk regions as depth level of nearby water reservations and watercourses (as rivers) and rain levels occurred and forecasted. Afterwards, compare periodic data results with risk levels parameters and using this to plan contingency safety measures on these flood risk regions. At high flood level risk would demand an evacuation plan. Also would like to share a reflection of Dee Hock on his book "The Chaordic Organization," which I remember as: "as time goes by data will begin to transform in information, information in knowledge, knowledge in comprehension and after long time could become wisdom." I wish you good writing on this multiple perception theme. Big Data? No big deal. I have been part of the IT and supply chain community for going on half a century now. During that time I have seen a lot of wondrous things. Heck, at one point I even thought that being able to make sense of little holes punched in cards was fascinating. I've seen a lot of hype and industry movement generated by simple three letter acronyms. Sometimes we need to make an idea sound "Big" to get it noticed. That is what I think of "Big Data". Nothing really new, but it kicks off a forum for discussion. And this is a good thing, because lots of people need to be thinking about how to share and use data in order to get real value out of it. Think for a moment about EDI and CPFR / ECR. These well-known technologies have been around for about 20 years. Both depend on getting multiple partners to share and use data. But we didn't call them "Big Data". And yes, advanced analytics were applied to determine when and what is being delivered, or was consumed. Comes the rub. Getting people to ‘share' and to ‘use' in a cooperative manner. The profession and art of Supply Chain Management could advance brilliantly if we could just learn to trust each other and to share. EDI or basically "Business to Business Data Integration" has never gotten the traction it should have. Such a simply concept, sending orders, shipment and billing data in an understandable electronic format. Collaborative Planning, Forecasting, and Replenishment, and Efficient Consumer Response – Now these are really meat and potatoes Big Data stuff. But again, fairly compartmentalized. Intelligent businesses, supported by technology, have been doing this kind of stuff for years. I guess if giving it a tag like "Big Data" furthers the movement I am all for it. Breaking the data out of its silos will be the challenge, are we up for it? But we really need to add another word to the mix so that we can have a legitimate TLA. Something that encompasses both the capture, sharing and analysis of all that data. Maybe the word "Omnibus" would work. "BDO". Yeah, that rolls off the tongue pretty easy. I like and agree with your article completely. I have had a vision since early 2008 that is so related to supply chain and technology, and the times and it starts off slowly and grows as people see the advantages it has not only in businesses but in employment and the economy. It Involves data proper usage, visibility, collaboration, and a new approach that actually isn't new for all. I won't go into details in this email. I am industrial engineer and have been a supply chain consultant for 20 years. I am also an inventor. Q: Dell in its glory days was famously associated with the concept of "negative working capital." What does that mean? A: In great summary, that Dell was paid by customers before it had to pay its suppliers, the result of its on-line sales model and just-in-time consignment inventory program. In that scenario, Its liabilities were always higher than its assets.